Fireside Chat Series: How & Why to Lead People As You Manage Sales? 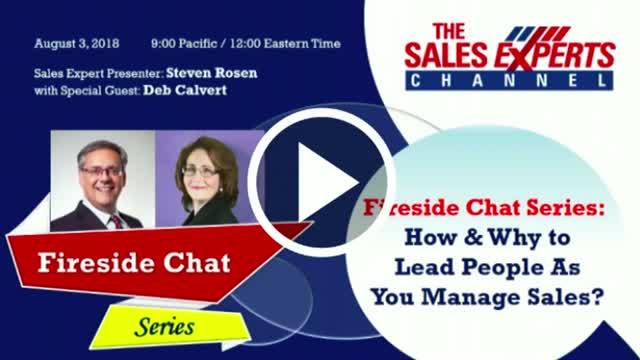 Join sales management expert Steven Rosen and his special guest sales management expert Deb Calvert for no hold barred fire side chat sharing their insights on the most challenging issues facing sales managers today. No powperpoint, no videos, just open and frank discussion. Expect an action-packed webinar filled with sales management gems, pearls, powerful insights and stories, that will help you crush your sales numbers. Title: Fireside Chat Series: How & Why to Lead People As You Manage Sales?